ComtalkInc specializes in sales and distribution of both unopened and refurbished Norstar phone systems and Norstar phone equipment, plus Nortel Phone Systems, Lucent phone systems. Our refurbished Norstar phone systems and other Meridian Norstar telephone systems are extensively tested, and include a twelve month warranty and advance replacement policy. 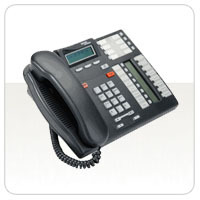 Meridian Norstar telephone systems are very advanced, but equally important, they are very easy to use office phones. Norstar's flexibility allows the office phone system to be tailored to the way a business works and upgraded and enhanced, as business needs change. There are several members of the Norstar Office Phone System family from the compact 6 line 16 extension system to the ISDN 30 compatible 0x32 modular system capable of up to 128 extensions. Ensuring we can tailor a Norstar Phone System to your needs. There are four Norstar system phones in the range which can be easily programmed to suit individual needs. By connecting a Norstar voice processing system, the Norstar phone system can be programmed to answer calls, take messages and pass messages on accurately, professionally, 24 hours a day. Norstar has an office phone to suit every job. All four Norstar office phones have digital displays showing the time and date. All but the most basic Norstar office phones can be easily programmed by the user to meet their personal office phone preferences and offer hands-free operation with optional headsets. For operators and administrators - the Norstar M7324 office phone has a 2 line display which prompts the user to use certain office phone functions using three special 'softkeys' that respond to the screen. The Norstar M7324 Office Phone Memory keys give access to up to 24 features, lines or extensions. The Norstar Office Phone LCD indicators show when lines or extensions are busy. The Norstar Office Phone capabilities can be extended by adding Central Answering Position modules, designed for operators managing incoming calls on larger Norstar phone systems. 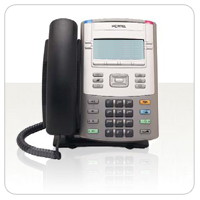 For intensive use - the Norstar M7310 is The Norstar Office Phone most people prefer. The Norstar M7310 Phone is ideal if you make and receive lots of calls. With the same 2 line LCD and soft key functionality, up to 24 speed dial keys are available on the The Norstar M7310 Phone, plus 10 memory keys for line access or frequently used features. This Norstar Office Phone is easily flexible enough to meet most needs. For office phone general use - the Norstar M7208 incorporates a 1 line display and 8 memory keys for access to lines or frequently used features. 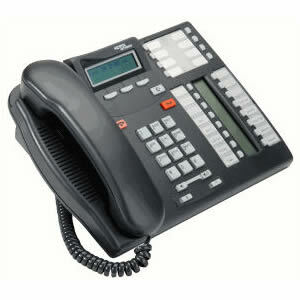 This Norstar M7208 phone is ideal for those who mainly receive calls or make mostly internal calls. 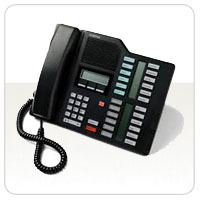 For low Norstar office phone use - the Norstar M7100 phone is the right Norstar phone for a warehouse or conference room, where it may only be used occasionally. This Norstar Office Phone provides access to Norstar's features solely via codes, rather than through programmable one touch feature keys. 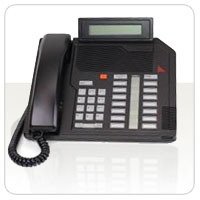 For more information about Nortel Meridian M2000 Series Telephones, Meridian Circuit Packs, Meridian 3000 Telephones, Norstar M7000 or Norstar M7000 Series Telephones or Nortel 1100 Series Telephones. Please contact sales@comtalkinc.com or call (800) 955-6082.